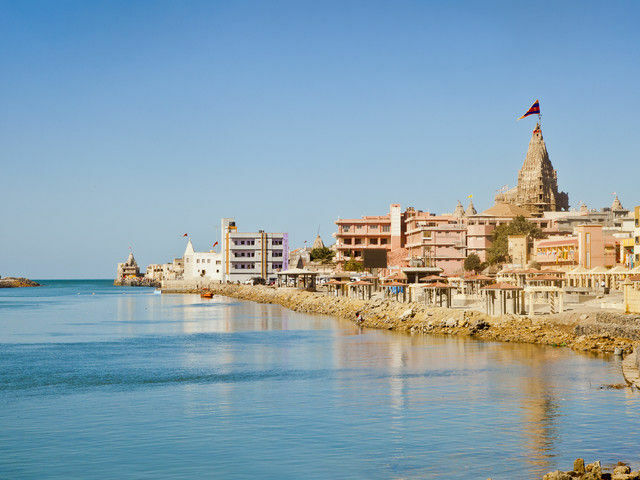 Dwarka is the legendary city, the residing place of Lord Krishna, on the shore of the Arabian Sea, the extreme west coast of Gujarat (Jamnagar district). In the war at Mathura, Sri Krishna had slew Kansa, who was his maternal uncle but was a cruel king ruling the city. Afterwards, he declared Ugrasen, the Kansa's father, the king of Mathura. This was not accepted by the Kansa's father-in-law (king of Magadha) and therefore, attacked Mathura 17 times. To avoid harming the people and assure their safety, Shree Krishna and the Yadavas moved to Dwarka. As told by Shree Krishna, Vishwakarma, a celestial architect, built the city on the banks of the Gomati river by reclaiming a piece of from the sea. At that time, Dwarka was popular by Swarna Dwarika. 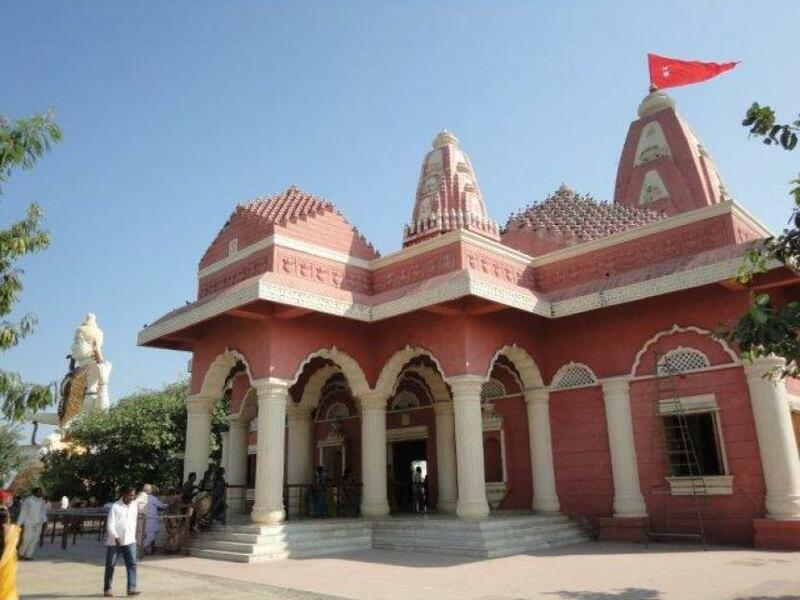 Bet Dwarka is considered a part of the ancient city in Indian epic literature Dwaraka, the abode of Krishna, found in Mahabharata and Skanda Purana. Gujarati scholar Umashankar Joshi suggested that Antardvipa in Sabha Parva of Mahabharata can be identified as Bet Dwarka as Yadava of Dwarka said to travel to it by boats. It derived its name Shankhodhar as the island is a large source of conch shells (Shankh). Archeological remains found under the sea suggest the existence of settlement during Late Harappan period of Indus Valley Civilization or immediately after it. It can be reliably dated to times of Maurya Empire. It was a part of Okha Mandal or Kushdwip area. Dakor is situated in the kheda district of Gujarat State. Earlier Dakor was known as Dankapur, famous for the Danknath temple of Lord Shiva. In 1722 AD Ranchodrajiji temple of Lord Krishna was built and then Dakor became famous pilgrimage place. Dakor is famous for Ranchorji temple of Lord Krishna. Ranchor is the name given to Lord Krishna when he fled from the battlefield in Mathura while fighting against Jarasandha. The divinity of Ranchorji is similar to the divinity of Dwarkadish in Dwarka, both being made from black stone. Devotees are allowed to touch the feet of the Deity. 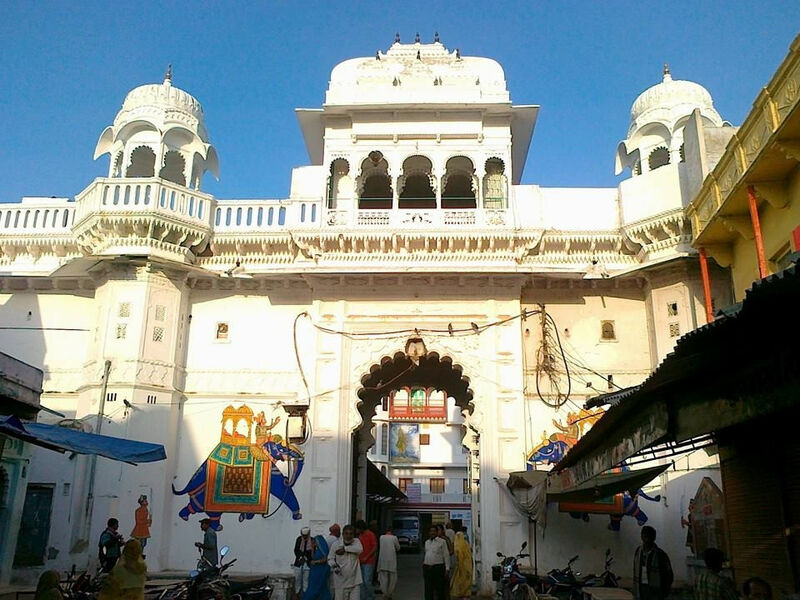 Nathdwara is about 48 kilometres Northeast of Udaipur and it is home to Shrinathji temple. 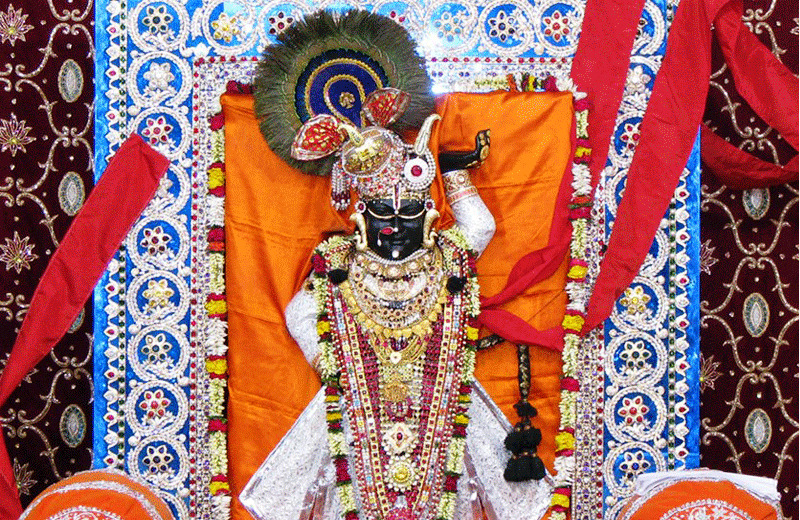 Shrinathji is another name for Lord Krishna and the temple is a famous pilgrimage spot for vaishnavites. The temple was built in the 17th century by Maharana Raj Singh of Mewar and it houses the black marble idol of Shrinathji that originally resided at Govardhan. Devotees queue up in the early morning for a Darshan of the lord at this temple. On the route from Ahmedabad to Udaipur you will come across Kankroli a small town that is home to the Dwarkadheesh temple of Lord Krishna. The temple here is a place of pilgrimage for people belonging to the Vallabhacharya sect. 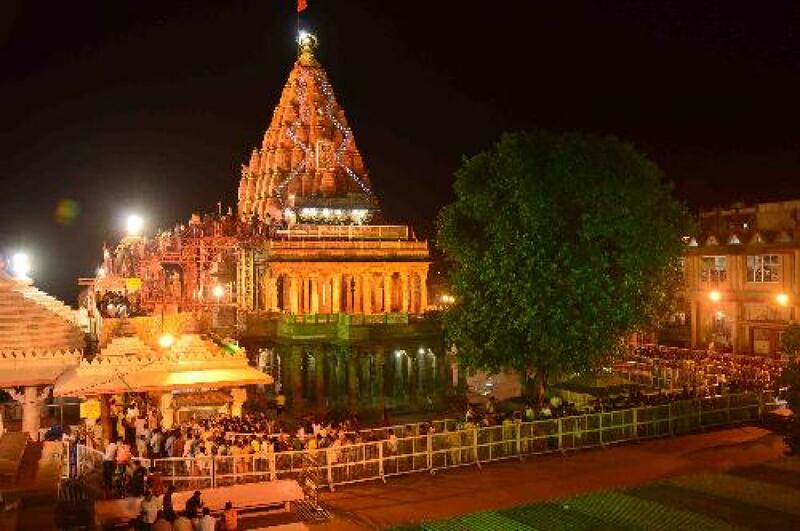 It is believed that the idol of Lord was carried from Gokul to Ahmedabad by Shri Gir darji Maharaj to prevent its destruction by the Mogulas and then it was shifted to Kankroli at the request of Maharana raj Singh and kept at Asotiya village until the temple was finished. The temple stands on the shores of a small lake and it is built in the Haveli style. 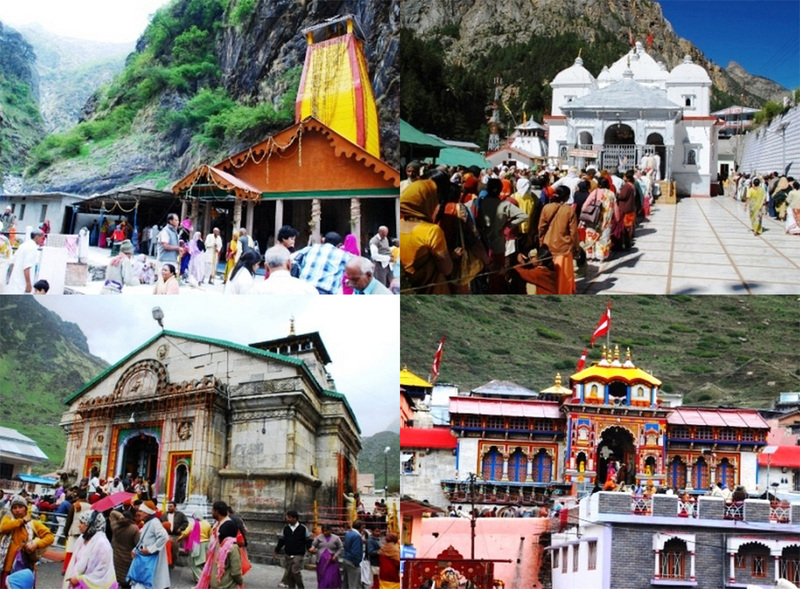 Mahakaleshwar Jyotirlinga is a Hindu temple dedicated to Lord Shiva and one of the twelve Jyotirlingams, shrines which are said to be the most sacred abodes of Lord Shiva. 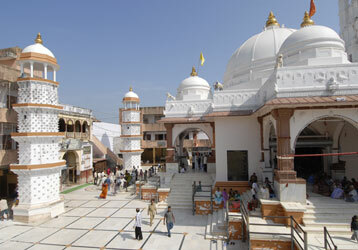 It is located in the ancient city of Ujjain in the state of Madhya Pradesh, India. The temple is situated on the side of the Rudra Sagar lake. The presiding deity, Lord Shiva in the lingam form is believed to be Swayambhu, deriving currents of power (Shakti) from within itself as against the other images and lingams that are ritually established and invested with mantra-shakti. .
Omkareshwar is a Hindu temple dedicated to God Shiva. 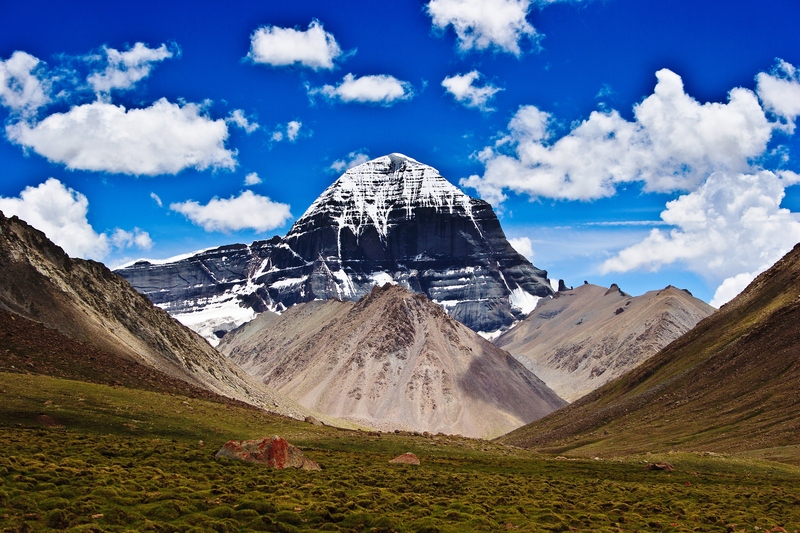 It is one of the 12 revered Jyotirlinga shrines of Shiva. It is on an island called Mandhata or Shivapuri in the Narmada river; the shape of the island is said to be like the Hindu ॐ symbol. 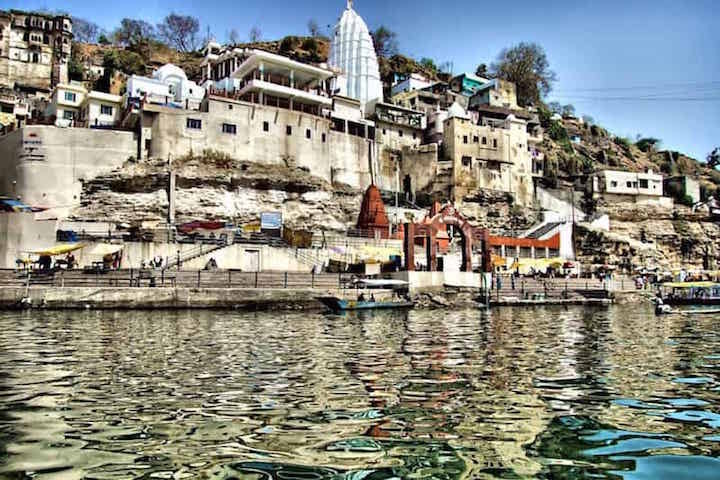 There are two main temples of Lord Shiva here, one to Omkareshwar located in the island and one to Amareshwar located on the south bank of Narmada River on the mainland. As per the sloka on dwadash jyotirligam, Mamleshwar the other name of Amareshwar is the jyotirling, nonetheless, many consider both Omkareshwar and Mamleshwar equally sacred and representative of jyotirling at this sacred place. 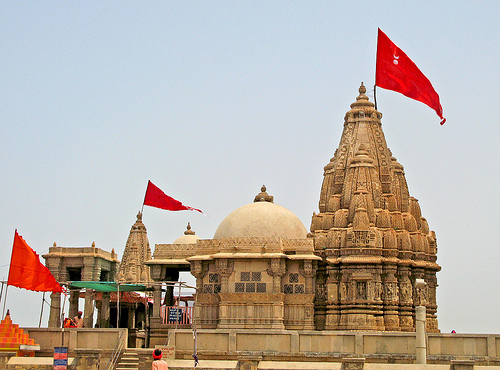 Temple of Lord Nageshwar jyotirling is situated in Gujarat, and is about 12 kms on way from Gomti-Dwarka to Bhet-Dwarka. The jyotirlinga enshrined in the temple of Nagnath is known as Nageshwar Mahadev and attracts thousands of pilgrims all round the year. There is a story for this position. A devotee by name Naamdev was singing bhajans in front of the Lord. Other devotees asked him to stand aside and not hide the Lord. To this Naamdev asked them to suggest one direction in which the Lord does not exist, so that he can stand there. The enraged devotees carried him and left him on the southside. To their astonishment, they found that the Linga was now facing South with the Gomugam facing east. According to tradition, the Shivalinga in Somnath is one of the 12 jyotirlingas in India, where Shiva is believed to have appeared as a fiery column of light. 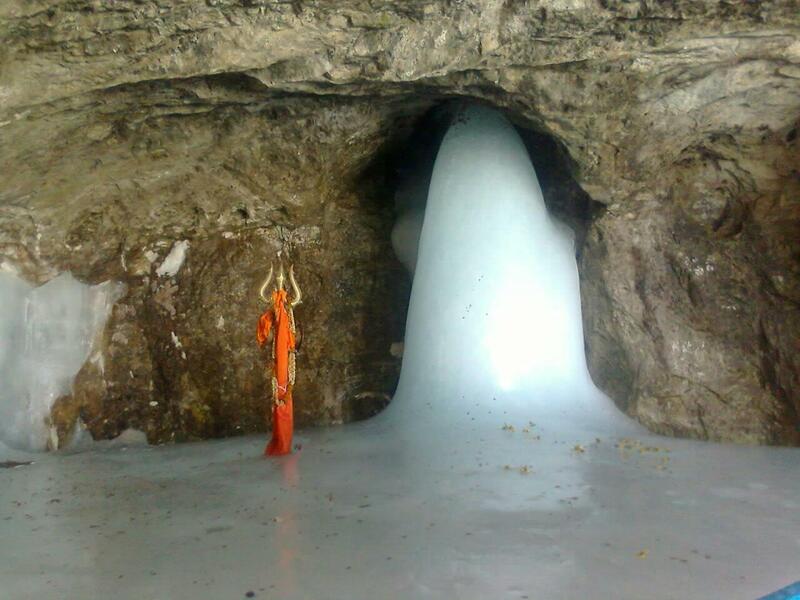 The jyotirlingas are taken as the supreme, undivided reality out of which Shiva partly appears. 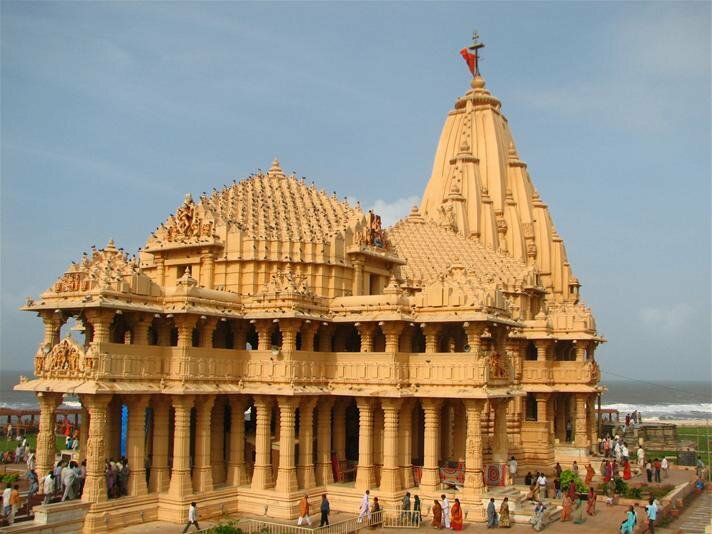 The Somnath temple located in Prabhas Patan near Veraval in Saurashtra on the western coast of Gujarat, is believed to be the first among the twelve jyotirlinga shrines of Shiva. It is an important pilgrimage and tourist spot of Gujarat. the present temple was reconstructed in Chaulukya style of Hindu temple architecture and completed in May 1951. The reconstruction was envisioned by Vallabhbhai Patel and was completed under K. M. Munshi, the then head of the temple trust.